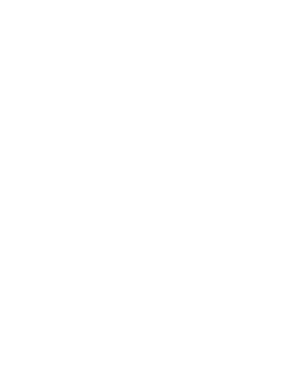 Created in the village where René Lalique set up his glassworks in 1921, the Musée Lalique’s ambition is to introduce the general public to Lalique’s art in all of its diversity, with the accent on works in glass. It opened to the public on 1 July 2011 on the site of a former glassworks that had operated until the 19th century, which was reworked under the direction of the Wilmotte Agency. Although Lalique’s work was already represented in the collections of the great international museums, no museums in Europe had been devoted until now to this artistic genius or the work of his successors. In a resolutely modern setting, the museum displays not only more than 650 exceptional pieces – jewellery, drawings, perfume bottles, tableware items, chandeliers, radiator mascots and vases – but also immerses the visitor in particular atmospheres with large format photographs and audiovisual presentations. In this way, the visitor truly becomes a part, for example, of the Universal Exhibition in 1900 and can see René Lalique’s stand or explore the Exhibition of Modern Decorative and Industrial Arts of 1925. Although visitors are unable to visit the factory, it was thought important to highlight their know-how and pay homage to the men and women who carry on the glassmaking tradition. Their work is showcased, in fact, in the form of a multi-touch table tracing the various steps in the manufacture of the Bacchantes vase, a piece created in 1927. From mould to finished vase, the visitor can watch short films on each step in the process and experience through the sense of touch the changes made to the material. 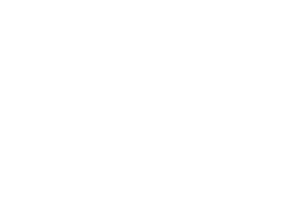 The Musée Lalique is also part of a beautiful natural setting at the heart of the Northern Vosges Regional Nature Reserve. A stroll in the gardens helps to forge the link between plants that inspired Lalique’s art and the works presented in the museum, and to hark back to the local glassmaking tradition thanks to an explanatory trail laid out in the grounds. From his birth in Aÿ en Champagne in 1860 to his death in Paris in 1945, René Lalique lived two successive lives as an artist and, each time, he rose to become one of the major protagonists to stamp their personality first on Art Nouveau and then on Art Deco, in diametrically opposed styles. 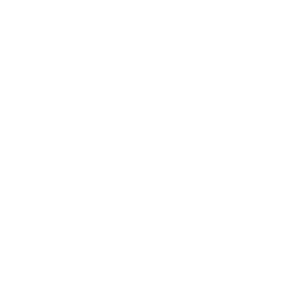 Drawing inspiration from nature and daring enough to use the female body as an ornamental element, René Lalique brought unexpected renewal to the world of jewellery. He would not hesitate to combine gold and precious stones with materials little used or considered until that time, such as horn, ivory, semi-precious stones, enamel and, of course, glass. In his eyes, it was better to strive for something beautiful than for an outward display of luxury… The feel took precedence over the material. In his early days, René Lalique’s avant-garde jewellery attracted a principally intellectual and artistic elite, who disregarded conventions and was capable of appreciating the beauty of an object in spite of the relative poverty of the materials employed. Between 1891 and 1894, the great actress, Sarah Bernhardt, bought a number of tiaras, necklaces and other stage accessories from him of spectacular size, designed according to her roles. She thus ensured René Lalique’s reputation and renown. Another famous person who played a decisive role in the artist’s career: Calouste Sarkis Gulbenkian. A financier and oil magnate, he was also an informed collector. Between 1899 and 1920, he acquired some one hundred and fifty jewels and artefacts, exceptional works that we can admire today at the Foundation that bears his name in Lisbon. René Lalique’s initial experiments with glass date back to the 1890s. Through the processes involved in manufacturing jewellery, he became familiar with vitrifiable materials and it was doubtless thanks to enamel that he discovered glass. Engraving it, setting it, he used it more and more to replace gemstones. Translucid and transparent like them, it had the advantage that it could be designed and manufactured according to the needs of the final project. 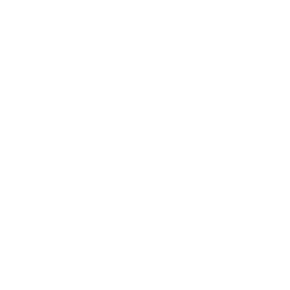 René Lalique also created small artefacts, vases and sculptures using the cire perdue technique. A little later, he experimented with the technique of blowing in a mould, but a precious mould, in chased silver, which became one with the glass, which it clasped to become its setting. His meeting with François Coty, which led him not only to design but also to produce perfume bottles, opened up new horizons to him. A veritable technological and commercial revolution was underway, which would not have been successful without the skill and inspiration of the artist. Although mass-produced, these designs were undoubtedly works of art. A way to perpetuate the philosophy of Art Nouveau, which sought the reconciliation of Art and Industry. 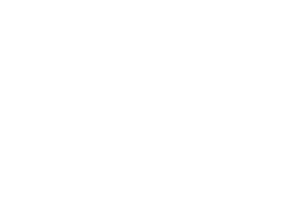 Gradually, René Lalique diversified production. In 1912, with a perfect understanding of the techniques, he decided to devote himself exclusively to glass. He then organised his final exhibition of jewellery and the general public discovered the master glassmaker. An avant-garde jeweller, René Lalique, in becoming a glass maker, also set himself apart from his predeces sors. He abandoned multi-layer, multicoloured glass in favour of limpidity and transparency, the natural qualities of glass. He also asserted his difference in terms of form. Léon Rosenthal summed it up thus: simplicity, balance, symmetry. He exploited this in total freedom, following his inclinations which were more towards elegance than strength,with a constant need to invent. He baulked neither at audacity nor imaginativeness, but when he strayed from convention, it was always in a measured way. © A. Small - John Nemeth Coll. An attentive observer of living creatures and inanimate objects, René Lalique struck a fertile vein of inspiration in nature. He dissected it and, discerning its lines, examined its particular forms and structures, looking for and finding in it the spark of life. He examined plants and flowers, studied water life, observed reptiles and birds and was fascinated by insects. But he sought inspiration not only in the earth and sky, plants and trees, the human animal, the female face and body also distilled the breath of creation in him. His genius sprung from his ability to adapt and compose. He did not copy nature, he did not stylise its various components, he created by transforming. Creations that breathed life into the magic of the material. Although René Lalique put all of his sensitivity into its interpretation, it was also nourished by the great movements in the world of art. Indeed, in 1900 the writer, Pol Neveux, insisted that the masterpieces of the Egyptians and the Italo-Greeks had never been examined by an eye more shrewd than his and the art of the Byzantines, the Florentines and the Japanese was no longer jealously studied by him alone. When he moved towards glass, he drew pure lines and the ornamentation, often geometrical, took on the new rhythms and syncopated cadences associated with those heady years of the Jazz Age. But he also knew, when necessary, how to soften them with sculptures of plants, animals or women designed in a very naturalistic manner. Thus, as timed passed, René Lalique not only had the courage, but also the talent, to adapt his inspiration to new trends without abandoning its underlying personality. of beauty to the world. 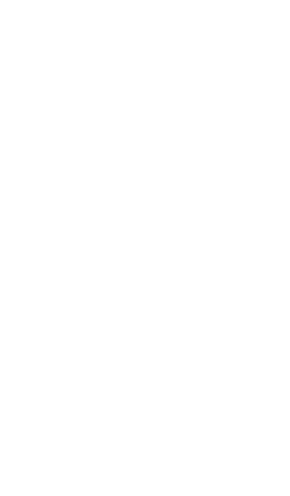 Birth of René-Jules Lalique on 6 April in Aÿ en Champagne (Marne). The young René is apprenticed to the jeweller, Louis Aucoc. While learning jewel-making techniques, he takes classes at the School of Decorative Arts in Paris. Spends some time in England and studies at the Sydenham School of Art for two years. Joins forces with Varenne who places his drawings with jewellery makers. Takes over the workshop of the jeweller, Jules Destapes, Place Gaillon in Paris. Marriage to Marie-Louise Lambert. Their union will result in the birth of a daughter, Georgette. Transfers his workshop to 24, Rue du Quatre-Septembre in Paris. Makes his first jewellery in chased gold with decorations inspired by Antiquity and Japonism. Takes part as an associate of Vever, Boucheron… in the Universal Exhibition in Paris. Sets up his studio at 20, rue Thérèse in Paris. His first experiments and creations in glass date from this period. Birth of Suzanne, daughter of René Lalique and Augustine-Alice Ledru. Is awarded a Second Prize for the Thistle Flower chalice and a commendation with medal for the vase, Vine Branches and Satyrs, at the goldsmiths’ competition by the Union Centrale des Arts Décoratifs. Receives the Croix de Chevalier de la Légion d’Honneur. Buys a property in Clairefontaine. He sets up a glass workshop there. Takes part in the Universal Exhibition in Paris: this is the apotheosis of his career as a jeweller. René Lalique is promoted to the honorary rank of Officier de la Légion d’Honneur on 14 August. Birth of Marc, son of René Lalique and Augustine-Alice Ledru. Marriage to Augustine-Alice Ledru. They move into the town house that he has just had built at 40, Cours-la-Reine in Paris. This also houses his workshops and exhibition rooms. Opens a boutique at 24, place Vendôme where he exhibits not only jewellery but also pieces in glass made in his workshop at his property in Clairefontaine near Rambouillet. 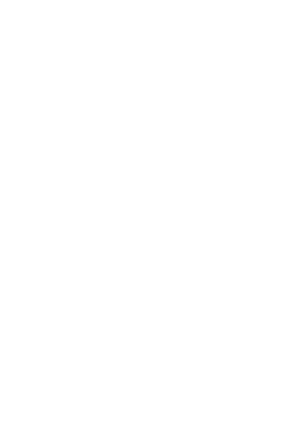 Meets François Coty for whom he will create perfume bottles. Rents the Combs-la-Ville glassworks in the Paris region. Death of Augustine-Alice Lalique Ledru. Organises his first exhibition devoted solely to glass. Organises his final jewellery exhibition. Travels to Lorraine and Alsace looking for a place better suited to the production of pieces in glass and with qualified workers. He is helped to set up in Wingen-sur-Moder by Alexandre Millerand, a fan of his work in glass, who would later become President of the French Republic. The Verrerie d’Alsace in Wingen-sur-Moder starts production. Participates in the decoration of the ocean liner, Paris. Collaborates in the decoration of the town house belonging to Madeleine Vionnet, on the Avenue Montaigne in Paris. Participates in the decoration of the ocean liner, De Grasse. Takes part in the International Exhibition of Modern Decorative and Industrial Arts in Paris. 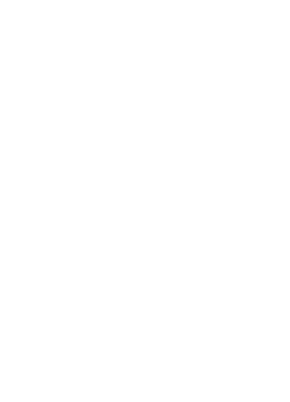 It is a triumph of Art Deco and the high point of René Lalique’s glass production. In working the material, his style expresses itself principally through what would become the famous contrast between the transparent and satin finish. He occasionally adds a patina, enamel or mass colour. Is promoted to the rank of Commandeur de la Légion d’Honneur. 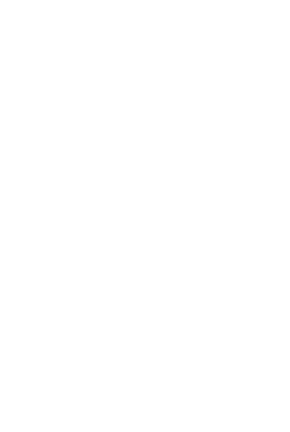 Designs and constructs the stained glass windows for Saint-Nicaise church in Rheims. Designs the gallery, Arcades des Champs Elysées. Participates in the interior design for the ocean liner, Ile-de-France. Participates in the decoration of the train, the Côte-d’Azur-Pullmann Express. Produces a dining room for Madame Paquin. Takes part in the International Colonial Exhibition. Makes fountains for the Rond-Point des Champs Elysées. Makes the front doors for the residence of Prince Asaka Yasuhiko in Tokyo (now the Teien Palace). Retrospective at the Pavillon de Marsan – Museum of Decorative Arts. Participates in the decoration of the ocean liner, Normandie. Leaves the Place Vendôme and moves into a new boutique at 11, rue Royale in Paris. The factory in Wingen-sur-Moder is requisitioned by the German army. Death of René Lalique on 1 May in Paris. The daughter of René Lalique and Alice Ledru – herself the daughter of the sculptor, Auguste Ledru, a friend of Rodin - Suzanne Lalique was regularly called upon by her father for her creativity and judgement. From 1910 onwards, she would create powder boxes and sweet boxes for him and, later, vases and other decorative pieces. Through her marriage with Paul Burty Haviland, she discovered another family of artists and came face to face with the world of porcelain. A Jill of all trades, she also brought her talent to bear in the fields of painting and textiles. 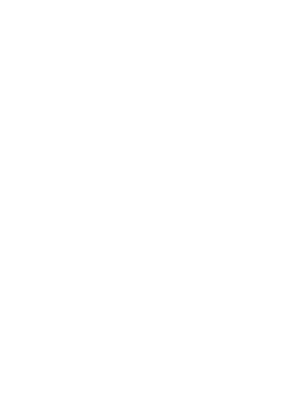 From her earliest years, she had cultivated friendships with several famous writers, including Paul Morand and Jean Giraudoux. In 1937, she was appointed to design the stage set for the play by Luigi Pirandello, Right You Are! (If You Think So), at the Comédie Française. 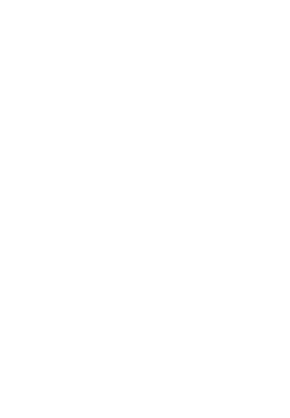 It was the start of a long career at that prestigious theatre, during which, up to the beginning of the 1970s, Suzanne Lalique Haviland would be involved in the design, stage sets and costumes of nearly 50 plays. The son of René Lalique and Alice Ledru, Marc was born in 1900. After studying at the School of Decorative Arts in Paris, he collaborated with father as of 1922. When René died, he took over as head of the family business. He used his qualities as a technician to their best advantage to renovate the factory in Wingen-sur-Moder and modernise it. He finally abandoned glass in favour of crystal. The contrast between transparency and a satin finish found its optimal expression in the purity of this material and this particular effect was to become famous throughout the world to the extent that it is frequently synonymous with the name of Lalique. Under his drive, the Lalique crystal works quickly took its place among the great French and foreign crystal works. The passion that Marc displayed in his craft was to make a lasting impression on the early years of his daughter. Very early on, in fact, Marie-Claude had the chance to experience the emotion of the creative artist, who saw her work taking shape thanks to the dexterity and skill of the master glassmaker. Although the continuation of the work of her grandfather and her father was her principal objective, she was nonetheless aware that perpetuating the spirit also meant renewal. Attentive to the creative fashions and currents of her time, Marie-Claude strived to achieve the marriage of tradition and renewal. 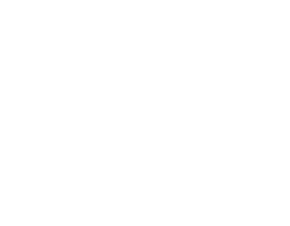 In February 2008, the Lalique Company was taken over by the Swiss company, Art et Fragrance. The objective of Managing Director and owner of the company, Silvio Denz was to strengthen the brand throughout the world and increase the production output of the crystal works in Wingen-sur-Moder. 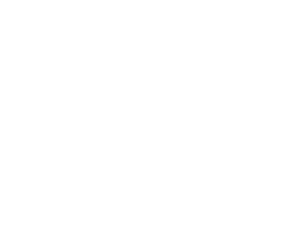 Collections of jewellery and perfumes continue to be developed alongside the traditional crystal business. Reissues of older works and contemporary designs are still produced by its master glassmakers, thus perpetuating the culture of excellence. In order to understand more fully why René Lalique moved to Wingen-sur-Moder, we must travel back in time. The glassmaking tradition in the Northern Vosges is an old one. Indeed, it dates back to the end of the fifteenth century. Not especially prosperous, the region nonetheless provided master glassmakers with the raw materials they needed to practise their art. Indeed, the thick mantle of sandstone covering the region provided silica, the basic element needed for the manufacture of glass, and the abundant forests provided the fuel. Large consumers of energy, glassmakers are on the constant lookout for wood to heat their furnaces. They generally stay in the same place for twenty-five or thirty years, the time it takes to use up the wood leased to them, and then resume their migration looking for new leases. This semi-nomadic character explains the sobriety of workrooms and houses and the appellation portable or flying glassworks. After a seventeenth century marked by the Thirty Years War and the wars of Succession, the return to peace favoured the region’s economic development and the glass sector enjoyed renewed expansion. Glassworks would settle in one place and, of those founded in the Age of Enlightenment, some would become famous and enhance the reputation of this territory. We can cite those at Meisenthal, Goetzenbruck and Saint-Louis in Lorraine, and Wingen and Hochberg in Alsace. The Hochberg glassworks was built in 1715 on the land of the Counts of Hanau-Lichtenberg Although, for many long years, it manufactured bottles, clock glasses and sheet glass all at the same time, it was in this latter type of production that it specialised, developing a whole range of colours. Life was organised around the workroom. In addition to their production work, the glassmakers were also involved in arable and livestock farming. They made use of the first land clearances, converting them into fields and meadows, and raised poultry, goats, or even cows for the richer ones. The structure of the hamlet which sprang up around the workroom was determined by the dual occupation. The Hochberg glassworks was forced to extinguish its last furnace in 1868 as there was no longer a sufficient supply of wood. The out-of-work glassmakers left for neighbouring Lorraine or much further afield: Westphalia, Italy, Spain and even Mexico. 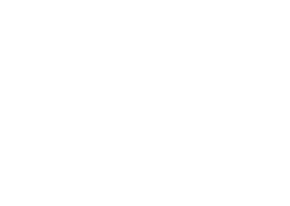 Fifty years after the closure of the Hochberg glassworks, the glass industry was to be reborn in Wingen-sur-Moder with the founding of the Verrerie d’Alsace by René Lalique. When he built this new factory, this artist of genius already had a long and prestigious life of creation behind him. An exceptional jeweller, he was now to allow his imagination free rein in the field of glass. As his reputation as a glassmaker grew, the factory in Combs-la-Ville could no longer keep pace with demand. Therefore, after the Great War, René Lalique built a second production unit in Wingen-sur-Moder in Alsace. Situated in a traditional glassmaking region, he knew that here he would find the skilled labour he needed to practise his art and took advantage of incentives offered by the government, which was looking to make the freshly regained regions of Alsace and Moselle the showcases of France. Although Alsatian production was initially more particularly specialised in table glassware and the manufacture of pre-war models continued in the Paris region, this distinction would progressively disappear. As of 1923, the trademark V.D.A., for Verrerie d’Alsace, would also come to be replaced, as and when the moulds were renewed, by the traditional signature, R. Lalique. He hired specialist workmen, glassmakers, cutters and engravers, coming mainly from nearby establishments in Saint-Louis, Meisenthal or Vallérysthal. The number of employees which at first, was around fifty, reached more than a hundred and fifty between 1924 and 1925, at the time when preparations were underway for the Exhibition of Decorative and Industrial Arts, finally to reach three hundred just before the Second World War. As a man undeterred by the widespread prejudices against industrial processes, he made sure to fit out this factory with all of the modern resources available, practising the pressed glass technique for solid items in moulding, compressed air blowing, etc. His designs could be mass-produced with no impairment of the aesthetic or technical quality of the product. This question was one that was particularly close to his heart. Indeed, a little time after the Verrerie d’Alsace began operations, René Lalique stated: I consider that, when an artist has found something beautiful, he must try to allow the greatest number of people possible to enjoy it. In becoming a manufacturer in order not to become a tributary for external resources, withou compromising his artistic beliefs in any way, René Lalique brought together the two conditions essential to his success. He also had the insight to maintain the harmoniousness between them, taking care never to sacrifice spiritual interests to material interests, his prestige and convictions as an artist to the dictates of his industrial success. The extraordinary skill of the region’s glassmakers was one of the primary reasons that led René Lalique to set up a business in the Northern Vosges. Still today, nearly two hundred men and women put their dexterity and knowledge at the service of creation. In the workshop, around the furnace, a veritable ballet unfolds, composed of breath, twirling and measured gestures. The molten material takes shape. The sculptural work continues in the cold workshops to render the piece according to the artist’s intentions. Created by René Lalique in 1927, the Bacchantes vases continues to be one of the brand’s bestsellers. A veritable ode to femininity, this round of sculptural nudes in basrelief is typical of Lalique’s style. With insolent splendour and disconcerting sensuality, Bacchus’ young priestesses offer up their beauty and their voluptuous curves. The satin crystal recalls the finesse of the texture of human skin, while the play of light breathes life into the piece. Today, this vase is available in satin, black, grey and amber crystal. In the permanent exhibition, a multi-touch table allows the visitor to experience the various stages in the manufacture of this vase through sight and touch. Videos present the work done in the factory and the mould and the vase itself at successive stages of manufacture can be handled to get an idea of the differences in material and relief. 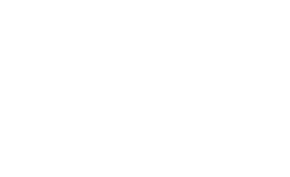 The moulding techniques perfected by René Lalique still receive particular attention. The factory makes its own moulds, generally in cast iron, in which each detail is sculpted to form an exact reproduction of its creator’s original intention. Hot working. The molten crystal is harvested using a blowing iron, which is cleaned to eliminate little bubbles and other parasitic elements, and then placed in the mould. For the Bacchantes vase, shaping is done by pressing. Once the piece has been shaped, it is fired again to stabilise the internal stresses caused by the unequal cooling of the crystal. Retouching. When it comes out of the tunnel lehr, the piece goes through the selection stage. This quality control, the first in a long series, determines whether the piece can be allowed to continue its journey. Cutting and retouching are used to rework the surface and correct any imperfections left by hot working, such as laps, mould match lines, etc. Frosting. In order to eliminate all traces of tools, the vase is immersed in a first acid bath. Once again completely transparent, it goes into a second bath which restores the matt appearance so typical of Lalique, which sets Lalique creations apart from all others. The signature. During the manufacturing process, a piece is checked at least ten times and may be discarded for a defect which is sometimes difficult to detect. 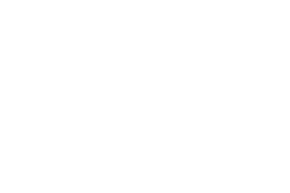 Only those pieces that satisfy all the selection criteria are entitled to the signature Lalique France, a guarantee of authenticity and quality. 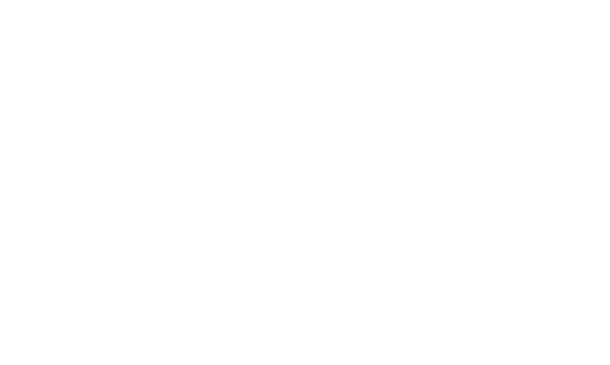 First consultation meetings with a view to creating a Lalique museum in Wingen-sur-Moder. Acquisition of the former Hochberg glassworks by the Municipality of Wingen-sur-Moder. Inclusion of the entire Hochberg site in the Additional Listing of Historic Monuments. Lalique exhibition at Lichtenberg Castle. The spreading room and the workshops fully protected from the elements. Selection of the Agence Wilmotte, in association with the architects, Chiodetti and Crupi, from Colmar, the set designers from Ducks Scéno and landscape designers from Neveux et Rouyer after an international competition. Creation of the Association of the Friends of the Musée Lalique (AAMIL). Lalique jewellery, glass and crystal exhibition at Lichtenberg Castle. Granting of the Musée de France appellation. Preventive archaeological digs at the Hochberg site (eighteenth century hall) by the Pôle d’Archéologie Interdépartemental Rhénan from 26 November to 6 December. 1 January: creation of the Syndicat Mixte du Musée Lalique. 8 November: laying of the First Stone of the Museum. 12 January: Commencement of works. 1 July: Inauguration of the museum. Click here to download the file "Museum_plan.pdf". The Musée Lalique is set in a quite exceptional landscape. Indeed, it has been built on the very site of a former glassworks, the Hochberg glassworks, which operated in the eighteenth and nineteenth centuries. Overseen by the Agence Wilmotte, which manages projects throughout the world, in association with the architects, Chiodetti and Crupi, from Colmar, thirty companies have devoted their skills and expertise to the project. An international architecture competition was launched in 2004. It was the sketches of Jean-Michel Wilmotte that attracted the attention of the adjudicators and the contract was awarded to him in 2005. Respect for architectural heritage was one of the main criteria for this choice, all the more so to the extent that the site has been listed in the Additional Inventory of Historic Monuments since 1996. Appropriate integration of the new buildings in the landscape was also a decisive argument. The materials selected – concrete dressed with stone and glass – form a harmonious whole with the existing buildings. The topography of the site is used as one of the major components of the architecture and the new, half-buried buildings present a green roof treated as a landscaped area. They overlook the natural surroundings from an impressive overhanging façade which, from the permanent exhibition space, offers a panoramic view over the valley below. At the heart of the museum is a concealed ornamental garden that the visitor discovers as he moves along the museum’s walkways, which link the old buildings to the new construction, forming a kind of cloister. 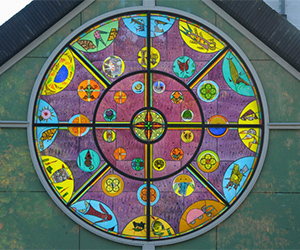 The building is enhanced by nature and nature is revealed by the building. Respecting and enhancing the landscape and the original architecture, the project manager was no less keen on incorporating all the functions essential to a museum created at the dawn of the twenty-first century. Apart from the permanent and temporary exhibition spaces and the storage areas, it also has an 85-seat auditorium, a shop, a refreshment area, educational workshops, etc. It operates in five basic fields – architecture, interior architecture, museum design, town planning and design – with an attention to detail that allows it to work on the smallest to the largest scale. As far as museums are concerned, it worked on the Louvre Museum in 1999, designing the Department of Primitive Art, and the Pavillon des Sessions in 2000. The Agence Wilmotte was also entrusted with the design of the Hennessy Museum in Cognac (1996), the Museum of Fine Arts in Lyons (1991-1998), the Museum of Fashion in Marseilles (1993), the National Centre of Stage Costume in Moulins (2006), the Museum of Art and Industry in Saint-Etienne (2001) and the President Jacques Chirac Museum in Sarran (2000). Overseas, it has worked, among others, on the National Museum in Beirut (1999), the Chiado National Museum in Lisbon (1994), and the Museum of Islamic Art in Doha (2008). Among the last projects, we should mention the Book of Peace in Jerusalem, the Rijksmuseum in Amsterdam and the reworking of the Musée d’Orsay. Prestigious Lalique collections are on display all around the world, like at the Gulbenkian Museum in Lisbon, the Museum of Decorative Arts in Paris and the Lalique Museum in Hakone, Japan, whose collection is principally of jewellery by René Lalique. The museum in Alsace has resolved to feature the artist’s entire creative output, putting the accent mainly on what is produced by Lalique in Wingen-sur-Moder: glass and crystal. -As production continues and is still diversifying, the creations of his heirs, Marc and Marie- Claude, and those of the current design studio are also evoked, which is unprecedented. In addition to setting off the works to their best advantage, the museum will, of course, also serve an educational purpose. It therefore offers visitors keys to understanding the works to make the artistic, cultural, social and technical context in which they were created intelligible. It also has the ambition to arouse the public’s curiosity and forge links with new horizons. In order to reach out at once to lovers of Lalique’s work, a young audience and an audience new to the work, the museum offers various levels of reading it and uses a combination of mediation tools. By relying at once on a strong, imaginative exhibition design and on advanced scientific research, it marries the pleasure of discovery and the satisfaction of understanding. As Otto Steiner, a renowned Swiss exhibition designer, says so well, we need museums that bring a sparkle to our eyes. Designed by Ducks Scéno, in partnership with the Agence Wilmotte, based on the scientific and cultural project defined by the museum’s curators, the walk through the exhibition allows visitors to discover the life and work of René Lalique. His creative genius, his talent as an industrialist and, of course, the world of his imagination are thus unveiled. The creations of his heirs, Marc and Marie-Claude, and those of the current design studio are also presented in their best light. Finally, special homage is paid to the men and women who, still today, perpetuate this expertise in Wingen-sur-Moder. 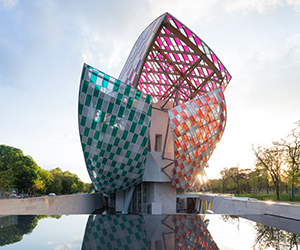 Covering a surface area of 900 m., the resolutely modern exhibition space is based on works belonging to the museum’s permanent collection as well as deposits from the Lalique Company and major Parisian museums such as the Museum of Decorative Arts and the Museum of Arts and Crafts, in addition to loans from private collectors. Iconographic, audiovisual and multimedia documents complement all this, all of them providing ways to make the visit more meaningful and give it a dynamic character. Perceptively setting off the piece to its best advantage without distractions is the cornerstone of the setting of the permanent exhibition. This is why the large majority of display cases has been designed without visible frames, without technical components that hamper the visitor’s ability to read the pieces. Their black tonality sets off the reflection of the lighting on the crystal. The black is partially contrasted with a reddish orange graphic element recalling the colour of the molten material. The design work has uncovered various types of space that correspond to specific settings. Thus, the exhibition spaces, more particularly reserved for the enhancement of the works, bear witness to René Lalique’s prolific creativity in the field of jewellery, perfume bottles and tableware. The Dialogue space favours a thematic approach. Vases, table centrepieces, statuettes, car mascots, lights… evoke the female form that so inspired René Lalique, as well as flora and fauna, Japonism and the spirit of Art Deco. Finally, Lalique crystal is brought up, on the one hand by highlighting the works and, on the other hand, by showing the various stages in the manufacture of an emblematic piece: the Bacchantes vase. The various worlds evoked, which truly immerse visitors in the ambience of Lalique’s life and work, with the emphasis on a sensory approach, allow visitors to witness a specific experience. They thus pay special attention to the graphic studio, which emphasises the decisive role of drawing in the master’s creative process. The Universal Exhibition of 1900 and the Exhibition of Modern Decorative and Industrial Arts of 1925, which were successively to mark the apotheosis of his career as a jeweller and as a glassmaker, are presented in the form of large format photographs and audiovisual montages. The same approach is adopted for the devotional art, a field in which René Lalique’s creativity is little known, even though, here again, his works are exceptional. The Fish fountain, created in 1937 and now reproduced, is presented in front of a display window, thus allowing the public to enjoy the floral landscape in the background. This space forms a poetic and relaxing interlude. Finally, the last world evoked is devoted to the Factory. A wonderful opportunity to present the magic of working with glass..
As for the Crossroads they are at once places to rest as well as places to meet the characters who marked Lalique’s career. Among them: the great actress, Sarah Bernhardt, the oil magnate, Calouste Gulbenkian, friend and patron… They also lead on to the context of artistic creation. Thus, the first crossroads, entitled artistic and literary friendships, provides an opportunity to evoke the influence of Art Nouveau. The second demonstrates the diversity of his clientele, from British sovereigns to Japanese princes, taking in the infamous flappers of the Jazz Age. The last one, modernity, deals with Lalique’s work on trains and ocean liners. More broadly speaking, it presents a panorama of the years 1925-1930, a period of rapid change, whether in the field of architecture, fine arts or cinema and live theatre. These various spaces come together to offer visitors a fluid, rhythmic tour, rich in discovery and aesthetic emotions. The landscaping of the gardens is a significant plus for the museum. It strengthens the people-friendly aspect of the site and the selection of species forms a link between the artworks and nature that René Lalique observed so closely. - A wooded garden on the roof of the permanent exhibition completes this ensemble. The creation of these gardens has involved considerable consultation work with the landscape designers, Neveux et Rouyer, so that, over and above their aesthetic quality, they can also play a full educational role. The Musée Lalique is sponsored by Région Alsace, the General Council of Bas-Rhin, the Community of Municipalities of the Pays de La Petite Pierre and the Municipality of Wingen-sur-Moder; these authorities have joined forces in a syndicat mixte on 1 January 2008. It is this body which is responsible for managing the museum. The members of the Syndicat Mixte du Musée Lalique were also responsible for funding its construction, with a significant contribution from the State and the European Union. Endorsed as a Rural Excellence Project and included in the Project Contract 2007-2013 (territorial and convention section, Vosges Massif - National Fund for Territorial Planning and Development), the museum has also been awarded the appellation Musée de France. In addition to inclusion in a national quality network, this recognition enables the Musée Lalique to obtain loans for temporary exhibitions or deposits from other Musées de France. Its acquisitions are also facilitated by the right of first refusal and financial support from the FRAM – Regional Acquisition Fund for Museums. Happy to make use of these provisions and thanks to the kind participation of its patrons, the Musée Lalique now has more than 400 works on its inventory. The Musée Lalique has had the endorsement as Musée de France since 2007 and enjoys the support of the Board of Musées de France and the Ministry of Culture. The museum can also rely on the support of the Association of the Friends of the Musée Lalique (AAML). 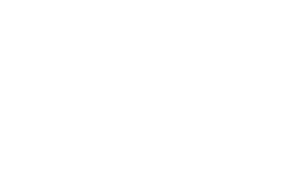 With a hundred or so members, its ambition is to enhance the reputation of the work of René Lalique and his heirs and federate lovers and collectors of the work in the museum project. It also aims to foster the enrichment of the collections, in particular by pursuing a policy of awareness-raising among potential partners likely to make donations of or deposit works. Le musée Lalique fait partie des Etoiles terrestres, avec le site verrier de Meisenthal et La Grande Place, Musée du Cristal Saint-Louis. Ces trois partenaires racontent, chacun selon leur histoire, l’aventure verrière des Vosges du Nord, qui a commencé à la fin du Moyen Âge. Une entrée dans l’un des sites Etoiles Terrestres permet d’obtenir une réduction pour la visite des deux autres. The Lalique Museum is part of the Stars of Earth, with the sight of the glassworks at Meisenthal and La Grande Place, Saint-Louis Crystal Museum. These three partners each relate, according to their own history, the adventure of glassmaking in Vosges du Nord, which began at the end of the middle ages. Entry into one of the sites of the Stars of Earth allows visitors to obtain a reduction for their visit to the other two. A short distance from the museum, in the garden, the coffee shop offers visitors the opportunity to indulge in a meal break. The film, Lalique, sculptor of crystal, by Camille Guichard, is screened here in order to allow visitors to extend their visit. The Musée Lalique can also be converted into a special work setting for seminars in a very pleasant atmosphere. In addition to the auditorium, it is possible to arrange meetings in the training workshops. People who wish to deepen their knowledge of the museum and its collections or, more generally, of glass and crystal, may, on appointment, take advantage of the wealth of information in the museum’s documentation centre. The place of the visitor at the Musée Lalique is fundamental. The museum is therefore designed to be accessible to as many people as possible. To this end, all texts are in French, German and English in the permanent exhibition. It is also possible to obtain booklets from reception in which the text is written in large format or Braille. Visitors who so wish can take advantage of a video guide to lead them from space to space. It is available in French, German, English and Alsatian and in a fun version for children over 8. The video guide can also be used to take the museum tour in French sign language. Group bookings are encouraged, for a tour with or without a guide. For schools and leisure centres, the visit can be extended with a workshop in one of the three rooms provided in order to allow children to apply in practice what they have discovered of the world of Lalique. It should be noted that the entire museum is accessible to persons of reduced mobility. Two wheelchairs and a rollator can be provided free of charge, as can light folding stools. The Musée Lalique is endorsed by the Tourism and Disabled authorities for motor and mental disorders. Each year, the weekend we call Awakening the senses, a museum for everyone helps to raise visitors’ awareness to various disablements. Open to everyone are modelling workshops, visits in French Sign Language and tactile visits suitable for partially sighted or blind people. Not to be outdone, special events also have their place at the Musée Lalique. New temporary exhibitions are presented to the public each year in order to explore or examine themes related to the art of Lalique, his imaginative world, glass. The Musée Lalique takes part in nationwide open days such as Artistic Craft Days, Museum Night, Open Gardens Days and French Heritage Open Days. On such occasions, specific events are planned to highlight one of the facets of the museum. And children are not overlooked either: During the majority of the school holidays, visits with workshops are offered for 7 to 12 year olds and visits with a storyteller for 3 to 5 year olds.